This walking tour takes you to visit artisans at work, making various traditional crafts necessary for eating, clothing, housing, and entertaining. This walking tour takes you to visit artisans at work, making various traditional crafts necessary for eating, clothing, housing, and entertaining. Although their workplaces are usually not open to the public, this tour allows you to closely observe the workers’ hand skills which were handed down for generations. You will also be able to understand the essence and esthetics of Kyoto culture through talking to these artisans. These cannot be experienced in normal sight seeing. Why don’t you try this profound version of “Kyoto experience”? Imakumano is a tranquil area with many temples and shrines famous for its deep connection to the emperor family. The area is also quite related to the development of noh play. 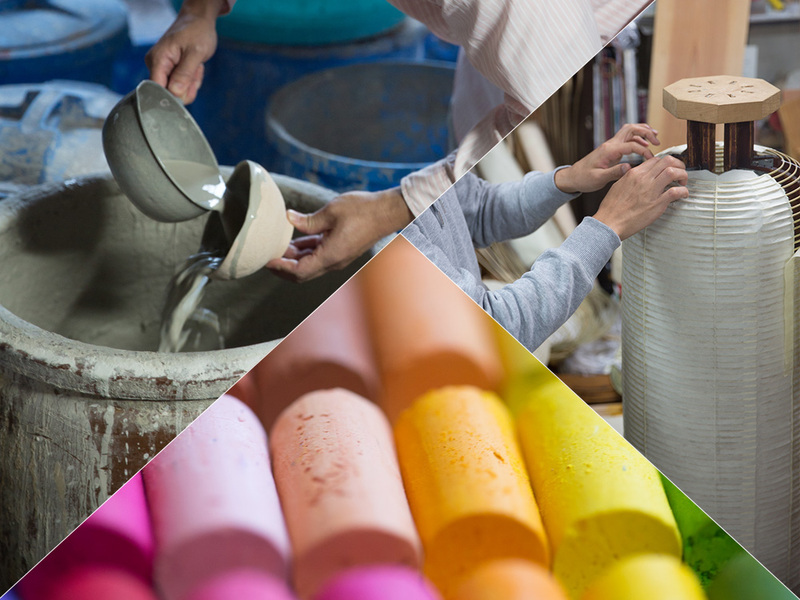 In this tour, we will guide you to visit an old lantern maker (1) and a workshop of an artist born as the 14th generation of a family running a historical pottery (2). Kyoto is also known to be curious for new things. The city has flexibly adopted some of the Western cultures, and brilliantly enhanced them to become a unique part of its own. To show an example, we will visit the first Japanese maker of “pastel” (3), a drawing material originated in Europe. 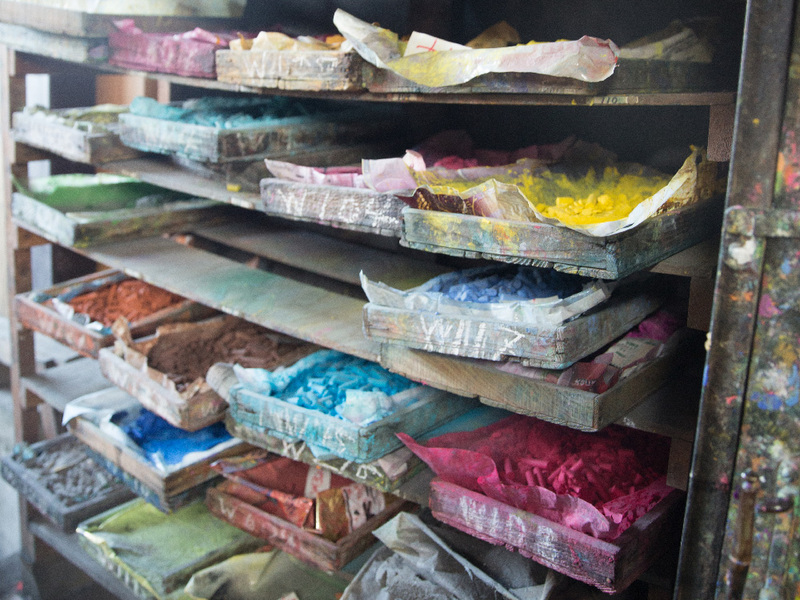 Even today, these pastels are produced by hand. The Japanese lantern called “chochin” is made of bamboo and Japanese paper, and can be used by putting a candle inside. It is an old Japanese lighting equipment which has been a commodity in the past, but nowadays more commonly seen in temples, shrines, or traditional rituals. 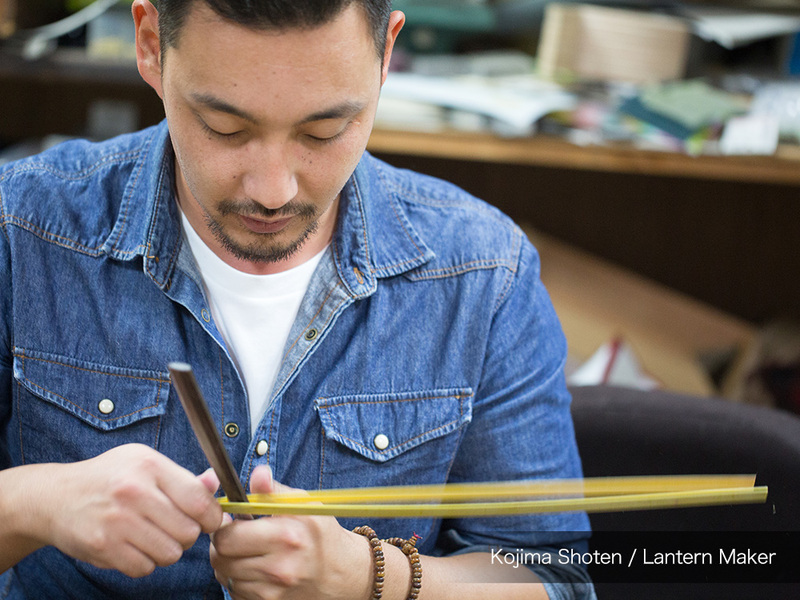 Kojima Shoten is a lantern maker established in the late 18th century. Today, the ninth generation master and his two young sons run the store. 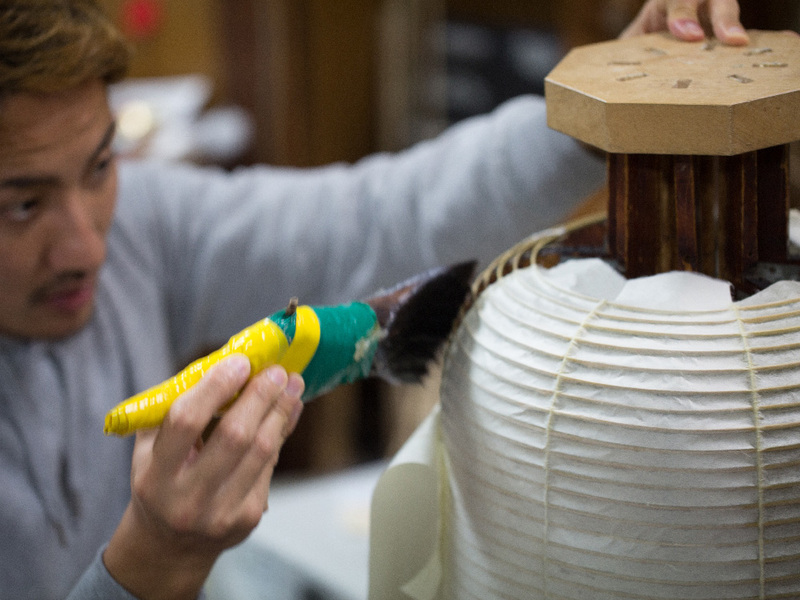 Lanterns made in Kyoto are carefully handmade in a traditional way that takes much time and effort. This method allows them to create a long-lasting lantern with good texture, and even ones in huge sizes. 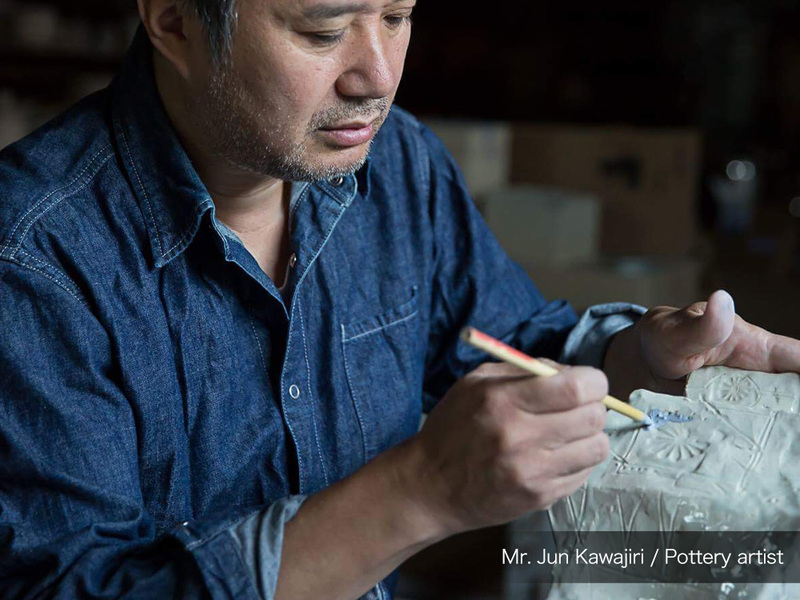 Mr. Jun Kawajiri is the 14th generation of a family making Kiyomizu ware since the 18th century. The first generation master was a potter of Kutani ware (popularly made in Hokuriku, Kaga area), and moved to Kyoto around 100 years ago. At its peak, the pottery had many artisans producing all sorts of unique tablewares for Japanese cuisine. The present master is an artist who creates tablewares or objet art pieces with vivid colors or dramatic designs, which can be described as the DNA of the historical family. 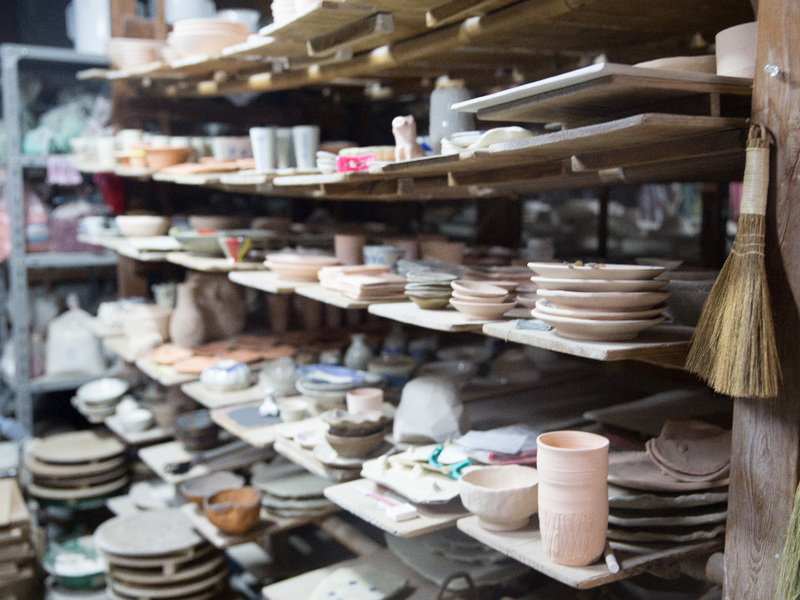 Mr. Kawajiri also supports young potters by providing a space in his workshop. Gondola Pastel was established in 1919 as the first maker of the drawing material “Pastel” in Japan. 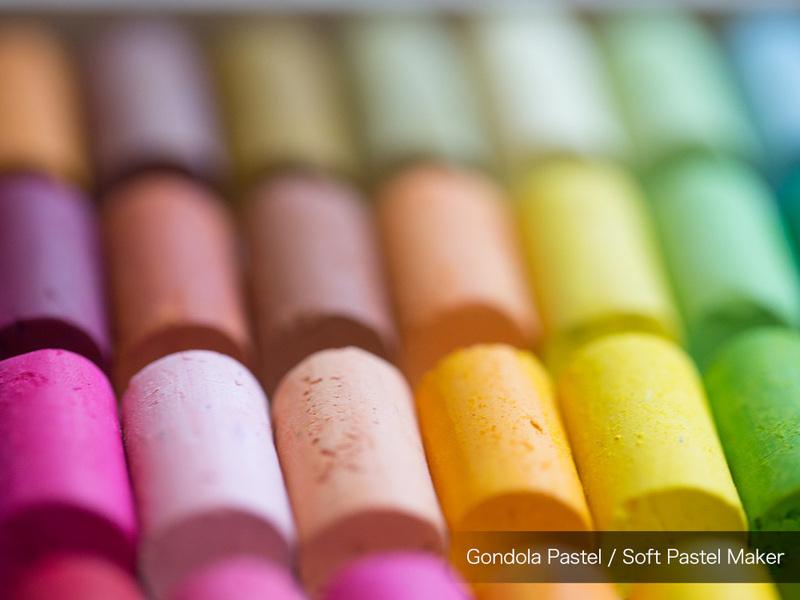 Their traditional handmade pastel has long been loved and supported by many painters. Their product’s distinctive feature is the original colors that best express the scenery and light of Japan. All 242 colors are made from a mix recipe that were secretly handed down. They also sell a collection of specific colors of Kyoto called “Kyo Iro Pastel” in order to promote the made-in-Kyoto pastels. Keihan railway Kiyomizu-Gojō Station exit5 / Keihan railway Tofukuji Station east exit. *Public transportations such as JR railways or subways will be used for this tour. If you request to use a limousine or taxi, an additional fee will be required. If you cancel your booked reservation, the following fees apply. *Additional fee for refund transfer will be required. Please check the note on our application form. During the program, please follow the instructions of the guide at all times, or we cannot take any responsibility in case there are any accidents. ・If you need special care because of your religion, physical or health condition (specific allergies etc. ), or age (traveling with children etc. ), please send us an inquiry to tour@enjoy-kyoto.net in advance. Please note that we cannot confirm any special care unless informed before your purchase of the program. ・The basic language for our program is in English. If you would like to request for a guide speaking other languages (Chinese, French, Spanish, German, Italian, Russian etc. ), please contact us to tour@enjoy-kyoto.net as early as possible so we can inform you the availability of the guide. ・Please send us the application 2 business days prior to the program date, by 10AM (Japan Time). If you wish to apply after that time, please inquire us directly to tour@enjoy-kyoto.net. We also advise you to inquire us directly during the peak season, from March 20th to April 30th, if the application is later than 3 days prior to the program date. Please note that, during those times, we cannot confirm your reservation unless inquired directly before your purchase of the program. ・Our business days are on weekdays from 9AM to 6PM. Inquiries during our non-working hours will be replied on the next business day.